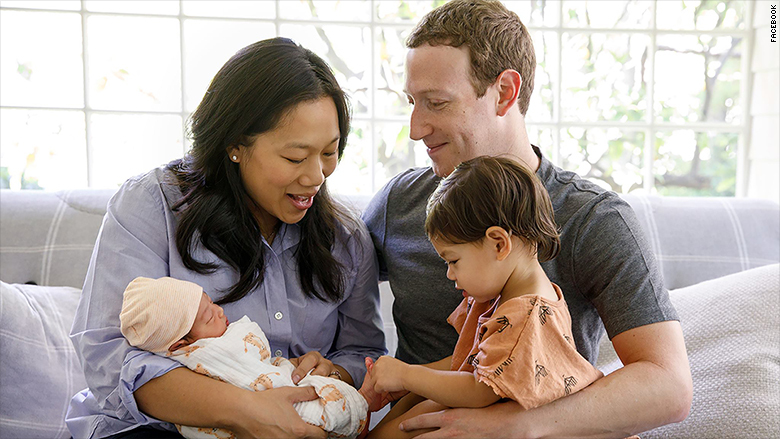 Mark Zuckerberg and Priscilla Chan have announced the birth of their second daughter, August. The Facebook CEO posted the news on Facebook (FB), along with a family photo that includes the newborn with her older sister, Max. Zuckerberg also wrote a letter to August about childhood and "the world we hope she grows up in." "Childhood is magical. You only get to be a child once, so don't spend it worrying too much about the future," Zuckerberg and Chan wrote in the post. "You've got us for that, and we'll do everything we possibly can to make sure the world is a better place for you and all children in your generation." 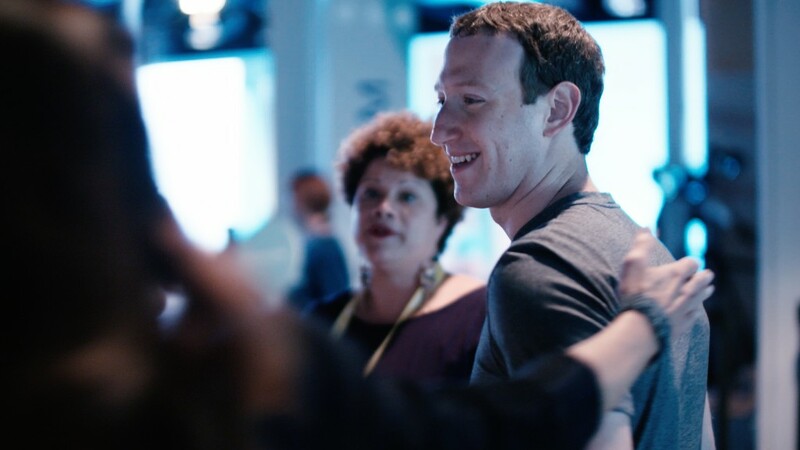 When Max was born in 2015, the couple announced the Chan Zuckerberg Initiative, which focuses global efforts across four areas: personalized learning, curing disease, connecting people and building strong communities. Chan and Zuckerberg pledged to give away 99% of their Facebook shares. The donations will take place over their lifetime. "Even though headlines often focus on what's wrong, we still believe these positive trends will win out. We're optimists about your generation and the future," Zuckerberg and Chan wrote in the letter to August. Earlier this month, Zuckerberg announced he would take two months of paternity leave. He will take a month off now and then the month of December. Facebook offers four months of maternity and paternity leave.